HerrSommer Resource Pack 1.8.8 is a very colorful pack guaranteed to make your world of Minecraft colorful and give life if you have already felt a tad bored of the way the game looks like. It features amazingly vivid colors and strong shades which make you see how amazing this pack really is. 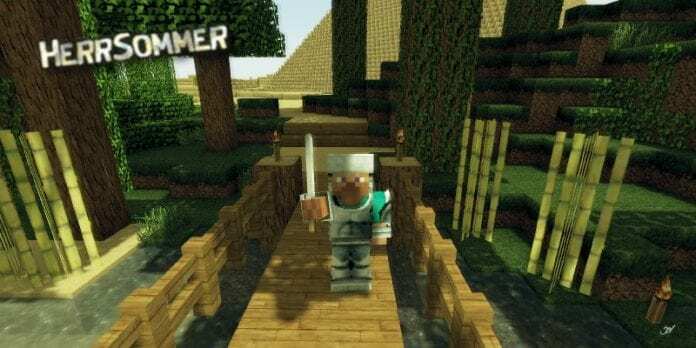 HerrSommer Resource Pack 1.8.8 runs on 64x resolution making it a high definition pack filled with great colors and a varied combination of light and dark colors. It is mainly themed to make Minecraft ever more colorful than before to give you the new light of heart to play Minecraft again. If you don’t know how to install the HerrSommer Resource Pack 1.8.8. just look below, we’ll provide you with a short tutorial there. This installation guide should work with all Minecraft versions. To see the Official Download Links just scroll down. 2. Download the HerrSommer Resource Pack 1.8.8 from the official links.